Today on the YarnThing Podcast with Marly Bird: Kirstin Muench of Muench Yarns! Listen in below to hear Marly and Kirstin talk about the company, the companies she works with, their yarns and much more! Kirstin Muench learned to do all kinds of crafts from her German mother with the book The Workbook for Girls. This book has all (and she means all) of the crafts you can think of from tatting and basketweaving to knitting and crocheting. Her mom knew people in Germany who were in the yarn business and started selling their products in the United States as her own business in 1985. Kirstin became a makeup artist in Germany and was there when her mother learned she had ovarian cancer. So in 1988, Kirstin left Germany to come home to the US and help her mother with both her illness and the business and has been at Muench Yarns ever since. And we can’t forget the Giveaway! Leave a comment below with Kirstin’s keyword for your chance to win ! Let’s give some love to our sponsors! My oh my was it great listening to Kirsten tell about her adventures. I would love to have any of the Muench yarn in my stash. It was great hearing all of the stories and where the raw materials come from. I just met Marly at Stitches West and my creativity has been unleashed! My heart skipped a beat when Kirsten announced her two giveaways. They were both so generous. I loved hearing her stories about the great people she has befriended throughout the years. I want to go with you to India. I’ll carry both your suitcases. Please, pretty please. My goodness this was a great interview. I am already looking at the website. GREAT stuff to be found there! I knit my daughter a beautiful our of Touch Me a few years ago and it is still her favorite scarf! Fun to listen to Kirsten. I have touched Touch Me. Wow. Nice to hear of Muench Yarns other lines. Oh my, what a wonderful company! Really enjoyed listening to the interview today! My stash is envious. I’ll have to start knitting faster to make room for some Touch Me. What an amazing interview! I love the part about the sludge!!! My My what an awesome set of needles. I love medal needles and have always wanted to try the nova’s! Marley and Kirsten you totally made my day! I so want to try Touch Me! And now I want to write a children’s book about a Mongolian goat and his warm winter coat. What a charming explanation of the difference in cashmeres. Thanks for another great interview. Kirsten was such a delight to listen to today! I’m a fairly new listener to Yarn Thing, but it’s already one of MY favorite podcasts. I gotta stop listening, my yarn addiction keeps growing! My oh My that is an amazing giveaway! What an awesome show! My, my!!! What an extraordinary giveaway! Kirstin is so generous. Loved learning about all her company’s involvements. I LOVED this podcast! Can I go to India with the two of you?? My wish is to have that awesome set of needles (and a little cashmere on the side would be cool too!). Thanks for an enjoyable hour. What a wonderful interview. My, how the time flew. I’m so glad that I finally made time in my busy day to check out your podcast! I’ll be back for sure!!! Thank you the great interview. I shared with my husband the part about Pony Needles. We have friends in that region of India. India is on my bucket list. Wonderful interview! I listened while listening my dogs. They got an extra long walk so I could hear the whole thing. I loved hearing about the company in India that does so much for the people in the area and their employees. I haven’t checked yet, but I’m hoping my LYS carries the Mongolian Cashmere yarn. I’d love to check it out. Oh, my! Marly, you have the most interesting and generous guests! I can’t wait to hear about your adventures in India! Oh my! This is my first time leaving a comment. 🙂 I really enjoyed the interview. Funny thing, one of my earliest yarn purchases was actually the Black Forest Naturewolle yarn. I couldn’t resist that bulky goodness. It was so interesting to hear that it is actually handspun by a spinner. That makes it even more special. Oh my! What a life journey! Thank you Kirsten for a chance and hope! And I also want to go to India – always admired their history and culture. My love for knitting, crocheting, weaving, spinning…. cooking…..all came from my dear grandma. And I am so proud of this inheritance. Thank you. I enjoyed listening to this podcast. Kirstin had some great stories. 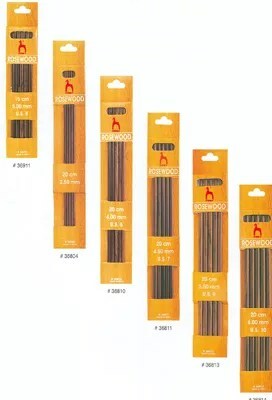 I would love to add this set of needles to my collection. My booty about hit the floor when I heard about the comment giveaway this week! I wanted that Nova set so bad for Christmas but didn’t get it… crossing my fingers I get picked!!!! Oh, wow! I was listening to the podcast while knitting with my very first set of Knitter’s Pride Symphony needles and loved hearing some of the history of the company. Since I am a relatively new knitter, I could definitely use some more needles to expand my needle collection! I loved listening to the podcast and found out the beginnings of Muench yarns and Kirsten went to work with her Mother. It was a very touching story. Loved the give-a-ways Kirsten is doing. I was disappointed to not have my number called but am hoping fingers crossed that my comment gets picked. Would love to add the needles to my collection. Thanks for another fascinating interview, and thanks for bringing Meunch Yarns into my world! What a great story! I just love your podcast. It is the only one I listen to live. I must try some of the Muench Yarn!! It sounds lovely. I think that my next project will have to be with some Touch Me Muench Yarn. Thanks. Kirsten has such an interesting story of how she started with the yarn shop/company! It gives hope to some of my dreams as well so that I won’t give up on pursuing them. And what courage and intriguing curiosity to travel to these places, finding these suppliers to work with, meeting all these people and establishing these relationships! How great is that! Thank you, Marly, for bringing these people’s stories and lives into my life so that I can enjoy, learn, and grow in this intriguing world of yarn and fiber arts! Yarn a wonderful thing to touch! Great interview and nice to hear a good company that treats their employees and are conservationist. Listening to the Yarn Thing podcast on my way to work always brightens my day! It was fun to hear Kirstin’s story, especially the rainy days working on the vast variety of crafts. Thank you for providing such an entertaining podcast. This podcast was so wonderful. Now I have a list of notions, needles and yarns to add to my wishlist. I love listening to this podcast during my lunch hour. Wish I was able to listen live. Great to listen to while I knit. Help to keep me motivated. I love MY Touch Me yarn! And I can’t wait to see that new book. Interview was enjoyable and informative. I want to go to India too. 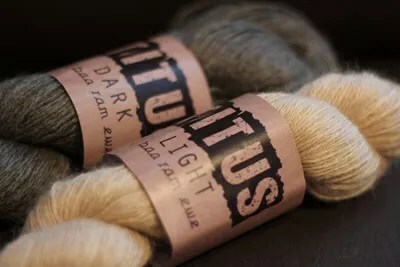 Want to find some Family yarn. What a great episode. I loved hearing about the yarn. I haven’t heard of Muench yarns but my next project may have to be something so I can use it! Thanks for another great show! Awesome podcast as always! So great to listen to! My oh my I’d love to try Touch Me yarn!! This was my first MarlyBird podcast and it was great! I’m a new groupie! What a fascinating episode! I will have to tell my knitting group about Meunch yarns! I loved hearing Kirstin’s fascinating travel and yarn adventures. What great prize she’s giving away! Be still, my heart! Just listened to this podcast. It was so interesting!!! Kirstin was so much fun to listen to. Total enjoyment! What a wonderful website! I heard about your website and podcast from MY knitting group this week. I am always looking to learn more about knitting! This is a great place to go to! This is the first podcast I have listened to and I’ll be listening to many more! Thanks! I have always heard great things about Muench Yarns and Knitter’s Pride. I would love to get MY hands on those needles! Great podcast! I loved hearing about this company. I must find some Touch Me to touch! Love the podcast! It looks like after hearing this I will be adding to my stash of yarn and needles! Loved the podcast!!! I learned of this website and podcast from MY knitting group. I enjoying learning anything to do about knitting and this looks like a great site! Thanks!!! My oh my I’d love to try Touch Me yarn!! I would also love to try Touch Me yarn. Great podcast as usual. My oh my what a great show! My, my, my, I would love to try Muench yarns!